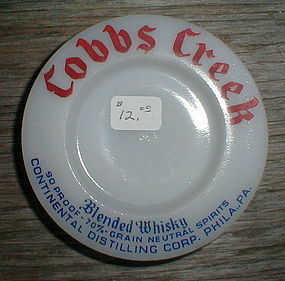 Cobbs Creek Whiskey 3" Ash Tray in excellent condition. No damage or use marks. Has the Hazel Atlas Glass Co. mark on the back (H over A).